Tasked with developing a brand name and identity for a new premium residential property, Hawk & Handsaw set out to create a beautiful and memorable brand which could in an instant articulate the architectural vision for the development and stand out amongst the crowd. 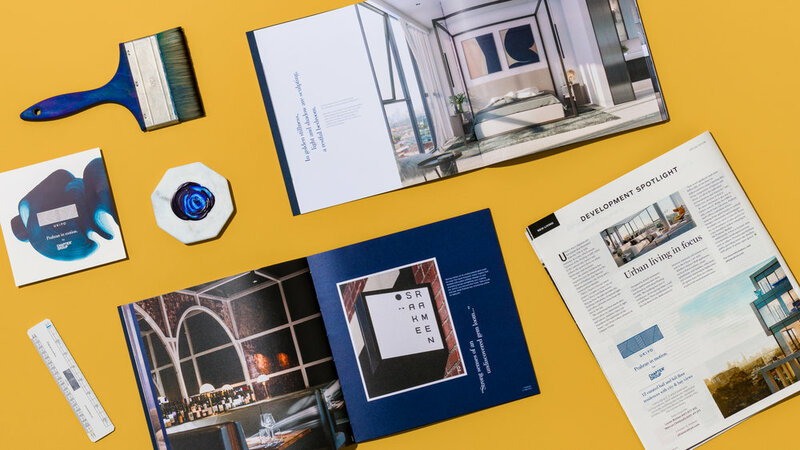 A strong idea and aesthetic style at the heart of the brand allowed us to push the boundaries of property branding and elevate Ukiyo in the market. To create a name that rang true to the development, we worked closely with Chapter Group to understand their aesthetic vision for the building. The architecture would combine inspiration from Prahran’s aboriginal meaning ‘surrounded by water’ and the work of Japanese fashion designer Issey Miyake. From this the name ‘Ukiyo’, meaning ‘floating world’ in Japanese, was derived, creating a link to the heritage of the locale while also providing a nod to modern Japanese aesthetics. The Ukiyo logo developed from using the geometry of the building, how light falls on it as well as the movement of people within it as an inspiration for the singular, fluid brushtroke. 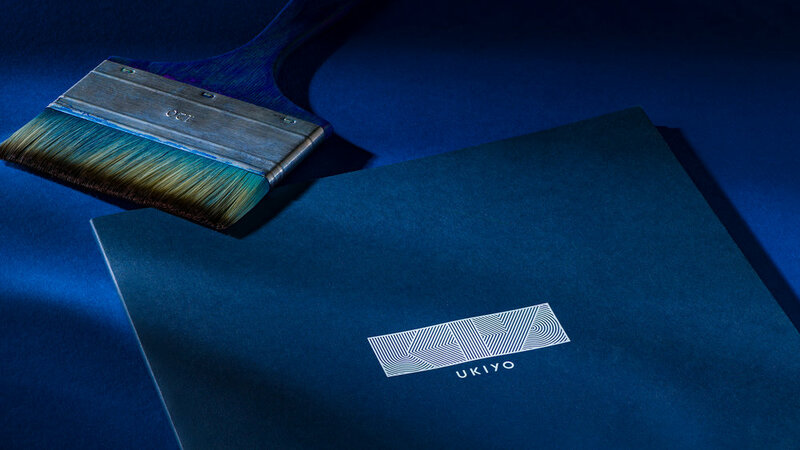 This linear, pleated idea created the basis for the distinctive and atmospheric Ukiyo brand world. From having the Ukiyo brushstroke painted at 10 times the scale to decorate the marketing suite as advertisement in itself, to using haikus as inspiration for the copywriting style, the look and feel of the brand carries across all touchponts, giving potential buyers an evocative and desirable world to experience.